(NaturalNews) There is nothing like a contrived "health emergency" to boost Big Pharma's sales. As the measles "crisis" that officials believe originated at Disneyland in California built in momentum earlier this year, traditional health care providers urged scores of their patients to get vaccinated. Many of them did, resulting in a nice little windfall for Merck, maker of the MMR-II (mumps, measles & rubella) vaccine. As a measles outbreak that started in California grew from seven cases on Jan. 7 to more than 100 a month later, sales of Merck & Co.'s measles vaccine surged as well. From the first week the measles outbreak was in the news to a month later when cases neared their peak, the use of Merck's M-M-R II vaccine more than quadruped to more than 4,000 a week, according to data compiled by Bloomberg. "We certainly saw an increase in sales beginning in the first month of the quarter," said Adam Schechter, Merck's head of global human health, in an interview with Bloomberg. "That was based upon a lot of attention in the media around certain measles outbreaks in the U.S."
The vaccine maker recently reported its first-quarter earnings results, which showed sales of the MMR-II vaccine and two other inoculations skyrocketed 24 percent over the same period a year earlier to reach $348 million. That sales boost helped Merck beat market analysts' earnings predictions, but it did nothing to forward the debate involving the overall safety of vaccines. The "outbreak," such as it was, did indeed spur a national conversation about vaccinations, but it was a one-way conversation. The usual suspects in Big Pharma and government health agencies followed the same game plan as usual: admonishing everyone to get vaccinated while demonizing vaccine safety advocates and the few reporters in America trying to cut through the corporate and government propaganda. As Bloomberg Business noted, the horrendous measles outbreak has amounted to just 166 cases this year - barely registering as a statistic among a population of more than 310 million people. There is other Merck-related news as well, but it is receiving far less coverage. As Health Impact News noted, Merck is currently involved in a longstanding federal lawsuit involving allegations of fraud over the mumps portion of the MMR vaccine. That case was originally filed in 2010 by a pair of whistleblowers - virologists who at one time worked for the pharmaceutical giant. Merck's legal team has tried repeatedly to get the case tossed out of court and does their best to keep news about the case out of the media. However, in late 2014, a federal judge finally ruled that the case was to move ahead. Health Impact News noted that were it not for legal news sites such as this one that provide news to legal analysts, attorneys and other jurists, few would know the case was going forward. Merck has known for a decade that its mumps vaccine is "far less effective" than it tells the government, and it falsified test results and sold millions of doses of "questionable efficacy," flooding and monopolizing the market, a primary caregiver claims in a federal antitrust class action. A suit against Merck was filed by Alabama-based Chatom Primary Care one week after the unsealing of a False Claims Act complaint filed by the two whistleblowers, Stephen Krahling and Joan Wlochowski. In their complaint, they claimed they "witnessed firsthand the improper testing and data falsification in which Merck engaged to artificially inflate the vaccine's efficacy findings." They further claimed the scheme caused the United States government to pay "hundreds of millions of dollars for a vaccine that does not provide adequate immunization." 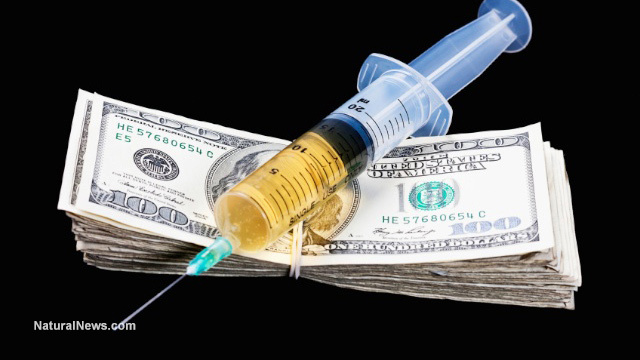 "As the largest single purchaser of childhood vaccines (accounting for more than 50 percent of all vaccine purchases), the United States is by far the largest financial victim of Merck's fraud," according to the 2010 False Claims Act complaint. In a graphic, Health Impact News noted that based on information provided by the Centers for Disease Control and Prevention and VAERS - Vaccine Adverse Event Reporting System - there were zero deaths in the U.S. from measles between 2004 and 2015 but 108 deaths from measles vaccines.